In a small bowl, mix together balsamic vinegar, oil, salt, sugar, black pepper, cumin, and chili powder. 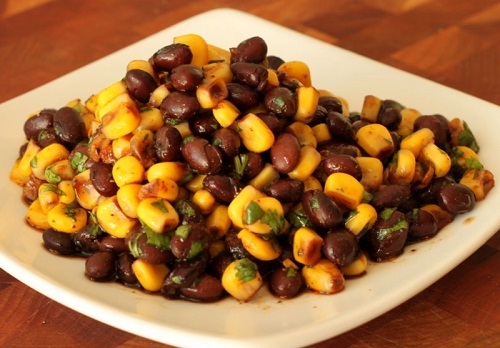 In a medium bowl, stir together black beans and corn. Toss with vinegar and oil dressing, and garnish with cilantro. Cover, and refrigerate overnight.